BRYAN EATON/Staff photo. Thursday was the last day of schools for Amesbury student. 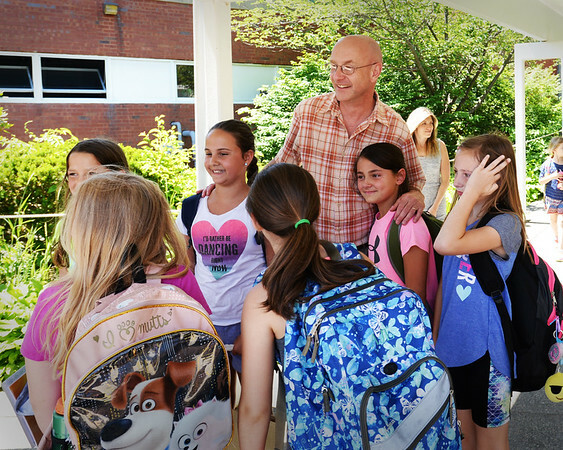 Amesbury Elementary School principal Walter Helliesen had his photo taken with some fourth-graders who will be attending Amesbury Middle School in the fall.